02 i) M.Sc in (Ag. )/Hort./ Botany/ Equivalent. 02 X Standard; Should be able to climb a coconut tree. "Production and distribution of Dwarf/semi tall varieties programme of the Department of Agriculture"
On the basis of Written Test, Practical Test and Interview. National Research Centre on Meat Recruitment 2019 - Walk in for RA & SRF Posts on a project entitled “Enabling Technologies in Mammalian Cell Culture towards cultured Meat” in National Research Centre on Meat, Hyderabad, Telangana on Temporary Basis. Candidates are invited by National Research Centre on Meat to attend walk-in-interview to be held on 22 Apr 2019 10:00 AM for 2 vacancies. IISS Recruitment 2019 - Walk in for Research Associate Post on a project entitled "Vulnerability and Impact Assessment of Climate Change on Soil and Crop production of M.P." in IISS, Bhopal, Madhya Pradesh on Temporary Basis. Candidates are invited by Indian Institute of Soil Science, Bhopal to attend walk-in-interview to be held on 01 May 2019 at 10:00 AM for 1 vacancy. 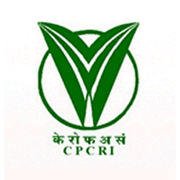 CSSRI Recruitment 2019 - Walk in for SRF & JRF Posts in CSSRI, Karnal, Haryana on Contract Basis. Candidates are invited by Central Soil Salinity Research Institute (CSSRI) to attend walk-in-interview to be held on 23 Apr 2019 10:00 AM for 4 vacancies.